How Bad is Allstate Insurance? You’re a good driver. You pay your insurance premiums on time. You even opt for additional insurance coverage just to protect yourself and your loved ones. As such, you expect that your insurance company will be on your side after a car accident and help you. Unfortunately, this is far from the truth. Insurance companies may claim to be on your side or they may claim that “you’re in good hands” – but this just simply isn’t true. Their main objective is to protect their bottom line and reduce the amount of money they need to pay out after an accident. So – it doesn’t matter how much you truly need. All that matters to insurance companies is how little they can get you to settle for. Allstate is one of those insurance companies – despite the fact that they are one of the largest insurance companies in the country. How bad is Allstate insurance? In the last decade, Allstate was the subject of investigation by the National Association of Insurance Commissioners for unfair settlements regarding bodily injury claims in over 45 states. After investigation, they were forced to pay a $10 million regulatory settlement. Just how bad is Allstate? Allstate was once ranked as the worst insurance company in America by the American Association for Justice because they continually engaged in bad faith practices. In fact, it was the culture in the organization to deny and delay valid claims. Former CEO Thomas Wilson even admitted that they gave awards to adjusters who could deny the most insurance claims. Unfortunately, Allstate’s behavior isn’t atypical and the majority of insurance companies behave in similar fashion. Their dedication is solely to their shareholders and they increase their own profits by denying or delaying claims to policyholders. In many cases, they work hard to reduce the payouts to policyholders by using aggressive “take it or leave it” approaches that are designed to pressure injured accident victims into accepting a settlement quickly. Sadly, when accident victims accept these settlements, its only a fraction of what they may need to recover. Don’t sign an insurance settlement without first speaking to an experienced personal injury lawyer. Your lawyer will review your case and your injuries, and help you determine the best legal path for you and your family. Your lawyer will also negotiate with insurance companies and ensure that you receive the maximum compensation for your injuries and for any damages. 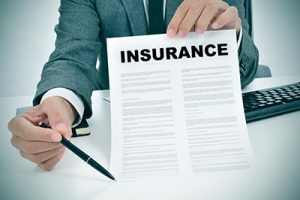 Before you speak to an insurance company, it is wise to speak to an experienced Colorado Springs personal injury lawyer. You may accidentally damage your claim by speaking to an insurance adjuster without legal representation. They are looking to reduce your claim and will often ask questions that are designed to trap you. Don’t let them! At the Rector Law Firm, our Colorado Springs personal injury attorneys don’t let insurance companies take advantage of our clients. We fight aggressively for them and for their future. From the very start, our lawyers work tirelessly to hold large insurance companies accountable. By Carrie Bush|2018-11-14T18:41:56+00:00August 30th, 2017|Categories: Blog, CO Springs Insurance Dispute Lawyers|Tags: How Bad is Allstate Insurance|Comments Off on How Bad is Allstate Insurance?